NOW FULL SUPPORT FOR High Sierra! 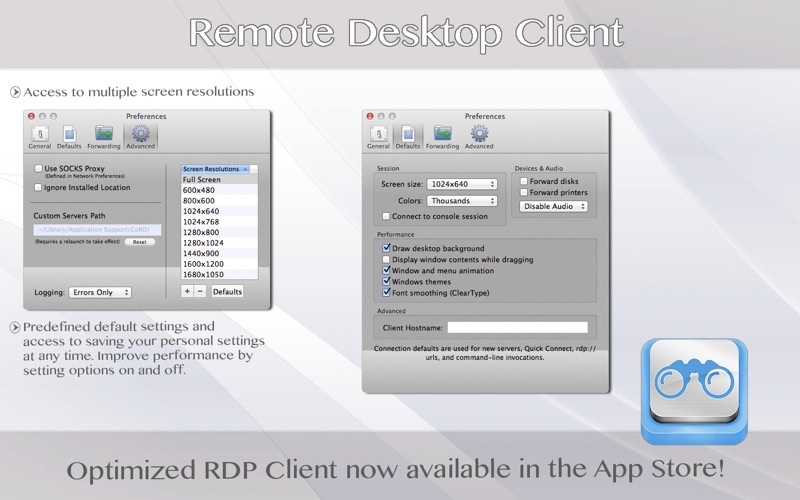 RDP Client Lite is a remote desktop application that allows connecting securely to windows operating systems. Many of us find ourselves needing windows still, however we like to use our macs without having to physically interact with our windows machines, with RDP Client you can take advantage and remote into all of your physical or virtual machines without leaving your MAC, you'll experience the richness of our user interfaces and compatibility with most widely use windows operating systems. 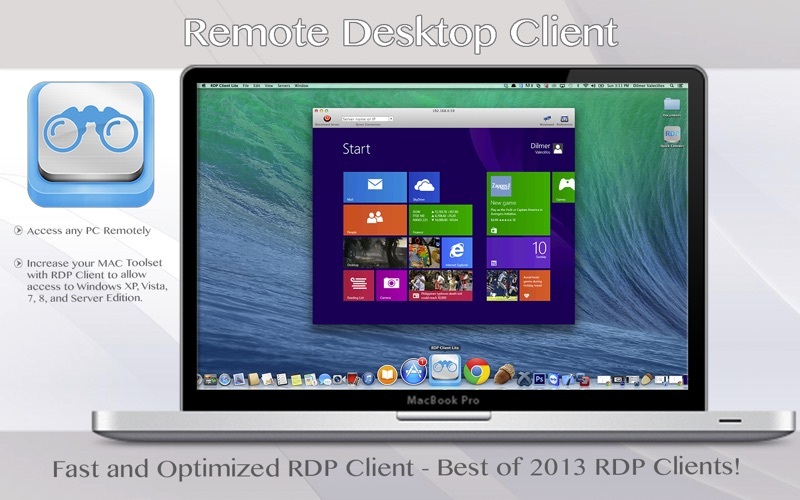 Remote Desktop Client allows to keep a session in your preferred resolution, change your screen resolution as you like, save all connections to your favorite machines, copy and paste from your mac to your RDP Client connection, and use all of our amazing hot keys to simplified your user experience. 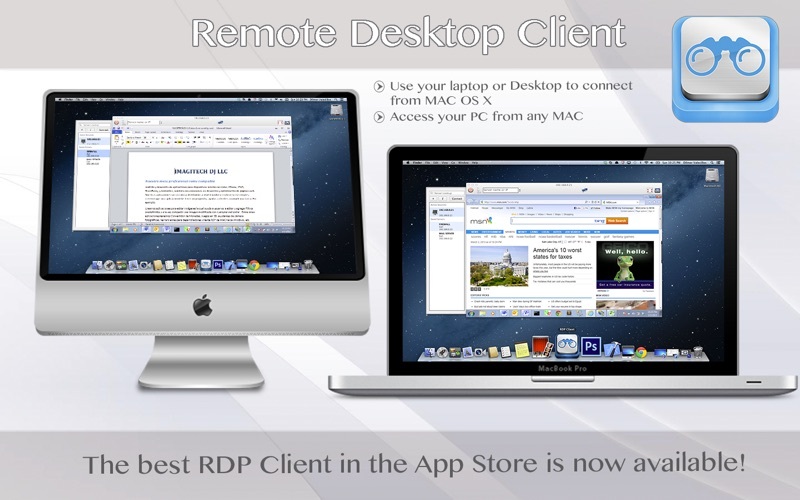 Why use Remote Desktop Client? Remote Desktop Client is FAST / SECURE / AND STABLE. We use the most advance technology to deliver a product that brings your windows os into your MAC as if you were natively running the operating system. Note: This is the light version. Download the pro version to save multiple servers.